corruption Archives - Africa M.E. PRETORIA (Reuters) – South Africa’s anti-corruption watchdog will oppose a bid by President Jacob Zuma to have a report on claims of influence-peddling by him and his government set aside, Public Protector Busisiwe Mkhwebane said on Monday. Thuli Madonsela, Mkhwebane’s predecessor as Protector, released the report in November. It called for a judicial inquiry into allegations that Zuma, some cabinet members and some state companies acted improperly, but stopped short of asserting that crimes had been committed. In December Zuma, who has denied wrongdoing and faced down calls for his resignation over a series of scandals that have plagued his administration, asked the High Court to set the report aside. In February, Mkhwebane said she was seeking legal advice on how to proceed on the issue. On Monday she told a news conference her office would oppose Zuma’s application to have the report set aside. 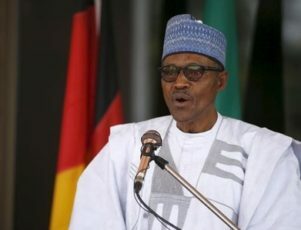 The move signals an escalation of a crackdown on graft by President Muhammadu Buhari who got elected a year ago on a ticket to fix the economy of a country where most Nigerians live in poverty despite its enormous energy wealth. 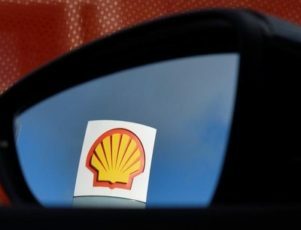 But analysts said the probe which saw three banking chief executives escorted from their offices is a hit to a sector already reeling from a slump in oil revenues and the country’s worst economic crisis for decades. “It’s a shock to confidence in the banking sector. They should have handled this investigation more discreetly rather than arresting CEOs in their offices,” said Bismark Rewane, CEO of Lagos-based consultancy Financial Derivatives. Banking sources say the Economic and Financial Crimes Commission (EFCC) has been investigating several banks for conducting possibly illegal transactions in the run-up to the March 2016 election to support then-president Goodluck Jonathan, who eventually lost to Buhari. Corruption spiked under Jonathan but his supporters reject Buhari’s claims that his government had plundered the treasury and accuse Buhari, a former military ruler, of conducting a witch hunt. The central bank said it was part of the probe to determine “the extent and persons that may be involved in such activities”. It gave no details but said the banking sector remained strong and described the deals in question as “isolated”. 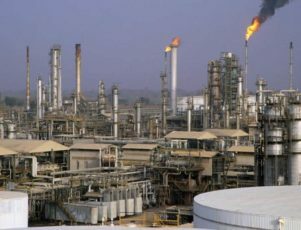 But for banks in Africa’s biggest economy the probe couldn’t come at a worse time as several have recently reported falls in profit while bad loans have burgeoned due to exposure to the ailing oil industry. Some are in the middle of restructuring their business models. 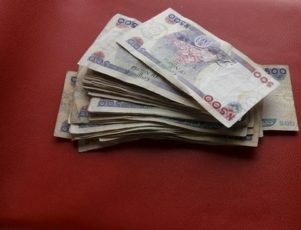 The banks have also been hit by Buhari’s decision to freeze the naira rate, which has made investors reluctant to pour money into the West African nation as they expect him to devalue the currency anyway due to a loss of oil revenues. Part of the foreign exchange trade has moved to the parallel market as banks have run out of dollars. The crackdown started when the EFCC said last week it had obtained a court order to arrest the managing director of Nigeria’s Fidelity Bank, Nnamdi Okonkwo, and question him. A bank official said he had been released on Friday. Nigerian media outlets, including The Premium Times, citing unnamed sources, said Okonkwo had been arrested on suspicion that he received $115 million from Jonathan’s oil minister, Diezani Alison-Madueke. It was not clear if the central bank was referring to these allegations in Tuesday’s statement. Alison-Madueke’s lawyer was not immediately available to comment. Fidelity said last week it had appointed an acting CEO and was cooperating in the probe, saying all its transactions had been reported to regulators. The bank declined any further comment. Sterling Bank, another domestic lender, said on its website that EFCC agents had questioned its Chief Executive Yemi Adeola and other members of its senior management team. 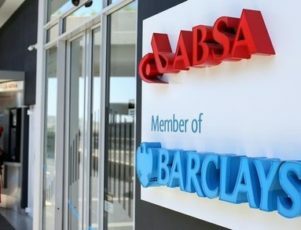 The bank said it did not hold an account of “the public officer from the previous administration” linked to the probe, without elaborating. A third bank, Access Bank, said agents had visited it on Friday to investigate a transaction involving a customer of the bank and had questioned its group managing director, Herbert Wigwe, in the EEFC offices. “He was released without charge on the same day,” the bank said in a statement. An official at the EFCC, asking not to be named, said the investigation was ongoing and declined to give further details. In January Nigeria’s former national security adviser Sambo Dasuki went on trial on fraud charges in the country’s first high-profile corruption trial since Buhari took over. 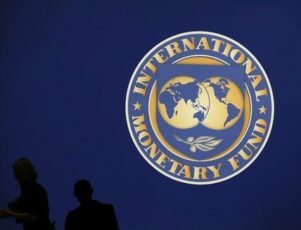 CAIRO (Reuters) – Egypt’s supply minister said the world’s top wheat buyer is close to eradicating graft in its strategic sector, defending the country’s management of the system against criticisms that it is vulnerable to corruption. He said authorities distribute 6 billion loaves of bread to citizens each month and that a smart card system rolled out in 2014 had virtually ended graft in the system. Officials, traders and bakers who spoke to Reuters for a March 15 story on the wheat sector said reforms, including the smart card system, had failed and ended up fuelling more corruption. 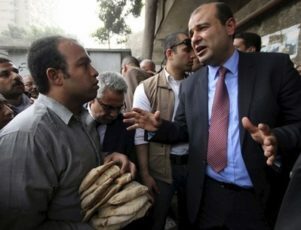 Challenging the Reuters story, Supply Minister Khaled Hanafi repeated his assertions that the system has saved millions of dollars in bread subsidies, reducing imports, and ended shortages that once prompted long queues outside bakeries across the country. “We have a system now that counts every single loaf of bread consumed,” he said in an interview. A Reuters spokeswoman said the news agency stood by its story. Wheat has become a key issue in recent months because the stability of Egypt’s supply chain has been threatened by an agricultural quarantine official’s zero-tolerance policy on ergot, a common fungus. The policy caused a mass boycott of state wheat tenders. The quarantine official was removed from his position. In 2014, President Abdel Fattah al-Sisi’s government rolled out a system of smart cards designed to stop unscrupulous bakeries selling government-subsidised flour on the black market. Corruption had been close to eliminated, Hanafi said in the interview, because the smart card system is effective and allows the ministry to monitor flows of bread. The bread subsidy programme, which feeds tens of millions of poor Egyptians, is central to avoiding unrest. Under the smart card programme, each family is provided with a plastic card enabling it to buy five small flat loaves of bread per family member a day. Internal statistics produced by the Ministry of Supply and reviewed by Reuters suggest the problems with the smart card system were considerable. Hanafi says the system is almost foolproof and that his ministry has kept corruption to a minimum, in contrast to the past, when he says 50 percent of Egypt’s flour supply was stolen.